A year-long quilting project can seem like one more thing to keep up with. I think the story alone keeps you motivated–like the original Sherlock Holmes mysteries, this one is a serial and so you’re compelled by the characters and the plot to read anew each month. I’ve also added a layer of extra motivation: every month, when you complete your block and share your finish to our private Facebook group or on Instagram, you get an ADDITIONAL clue via email to help you find the solution! That’s a total of 12 extra clues that will give you a glimpse of whodunit, on top of the clues in the text and the clues in the quilt. 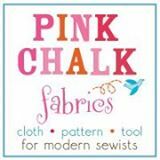 Along the way, you’ll receive monthly emails with encouragement and discussion, and access to our password-protected dedicated website where you can download chapters, patterns, instructions and little extras (coloring pages! connect-the-dots!) as we go along. 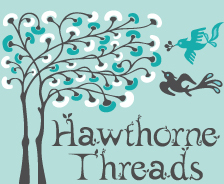 Our private Facebook group gives you a chance to chat with other quilters about this or any other project, and really get connected to community in 2018. 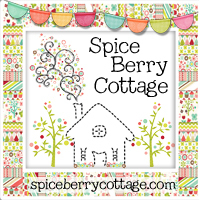 Any level quilter is welcome, and the patterns are written with lots of clear step-by-step instructions in full color. You’ll find our community is super helpful, and that seeing their blocks posted is inspiring not just for this project, but for all your sewing! Members come from all over the world to play with us, and in the past we’ve included quilters from the United States, Australia, the United Kingdom, Canada, France, Portugal, and more. Are you intrigued? I hope you’ll sew along with me! This project is a dream come true for me, and I have loved, loved, loved every single second I have spent putting it together. I can’t wait to get started. Come hunt clues in 2018! Join us! We need your brainpower and we want to play with you. Read more about the Murder Mystery Quilt here. Registration is open now! Sign up early, as spots are limited. Last day to register is January 31, 2018. I am writing on behalf of my mom, an avid quilter. My mom is interested in doing your challenge but she is not on either Face Book or Instagram. Is there a way she can still fully participate including getting the bonus info? Hi, Tamara! Absolutely! All the content is housed on our website, which also hosts a community forum and active comments section–she’ll be able to make friends and interact with other members, ask questions, and share ideas right on the site, without needing Facebook or Instagram. Hope that helps, and please let me know if you have other questions! when will the first instructions be released? The first block and chapter arrive on January 10, and a new one every second Wednesday in 2018! Hope that helps! I would like to see last years quilts. I am a beginner and not sure if I have the skill set. Hi, Melissa! We have lots of beginners in our group! Every pattern is written with full-color illustrations, and plenty of support and encouragement from me and our members. You can browse some of the finished quilts from last year on Instagram, using #murdermysteryquilt2017 (but keep in mind that this year’s quilt is a different design). Hope that helps, we would love to solve crime with you today! Do you give the fabric requirements for the entire quilt in the beginning or just per block monthly? I am interested in joining your group but am not sure about a sample type quilt. Hi, Jessica! 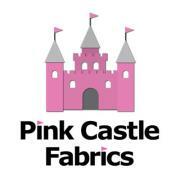 You receive the fabric requirements immediately upon registration, for the entire year. 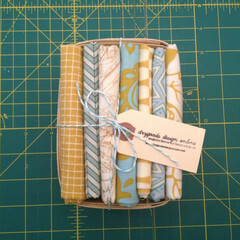 Because it’s a sampler-style, there is some flexibility, and it’s also very scrap friendly. Hope that helps, we would love to quilt with you this year! I am leery about a year long deal during the summers at work leave no time for anything else. I will ponder this some more and maybe join. Thank you much for your quick response! I’ve joined but I can’t access any further information. Has anything else been posted? Hi, Peggy! All the content lives on the Murder Mystery Quilt website. Just use the link in the menu that says Member Sign In and you’re there! I registered for the Murder Mystery quilt but haven’t received anything. Have I not been looking in the right place? I am excited to get this started. I registered and.paid on 6 Jan. I have not received any information. Hi, Mary Ellen! Simply log on to the site and all the content is available to you. Use this link, and you’ll be automatically redirected to the main page, where you can scroll down and find every post! Hope that helps! I’ve sent you an email, Donna! Hope we get to quilt and solve crime with you this year! Finished second block yesterday evening … am I DELIGHTED with my color selections. Grand fun … onward and upward. Thanks Debra. Hooray!! I am just thrilled to have you along for the ride this year! Our quilt group is currently working on the 2018 Murder Mystery Quilt. We were wondering if there is a photo of the 2017 quilt available? Also, is the pattern available and what is the cost? Hi, Mischell! 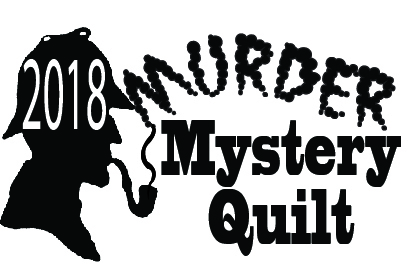 Yes, the 2019 quilt is now registering–you can see all the details here: http://murdermysteryquilt.com We would love to quilt and solve crime with you next year!